What are the 3 ways to address the often reported complaint from potential GMAT test takers that after a few test attempts, they start seeing the same test questions in free official GMAT prep software (in the test or practice sections)? 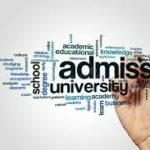 Since you will need to have a high score to succeed in your grad-school quest, here are 3 approaches to address the issue. 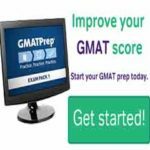 Buy more practice questions from GMAC (owners of the GMAT). There two variants to pick from; each of the additional question packs will cost 29.99usd and 49.99usd respectively. See the links below if you are interested in purchasing them. GMAT prep-question-pack-1 (29.99usd), get it here. GMAT prep-exam-pack-1 (49.99usd), get it here. Note: To install and use GMATPrep® Question Pack 1 or Exam Packs 1 & 2, you must first download the latest GMATPrep v2.5.327. 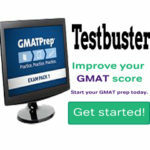 To download the free official GMAT prep software check here. 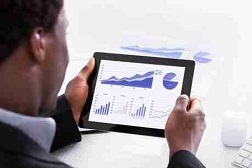 Stick with the software you have if you have not started hitting a GMAT score above 700! Why? You have not exhausted the questions in the database of the free official GMAT prep software you are currently using. Usually, test takers will continue to see similar/identical questions and scores hovering around the same region (e.g. 1st attempt 520, second attempt 500, 3rd attempt 540, if your aptitude/knowledge base has not improved). To address this issue, more study/prep will often suffice to address this challenge. Directly, purchase the TRACTRAIN’s GMAT all-day-tutor service. This service from TRACTRAIN covers the entire GMAT sections, test simulation, self-paced learning (internet required), etc. This service is particularly ideal for test takers who have decided that a self-study approach is best for them; offer starts at only N39,000(for one month unlimited) and N59,000(for 3-months unlimited). See some of its amazing features here. To TRACTRAIN’s prep locations and addresses nearest to you here. TRACTRAIN (foremost test prep, admissions and career development company). See track record and amazing success stories here.